Every summer, thousands of people assemble to live together to celebrate the Annual Gathering of the Rainbow Family. Participants establish temporary systems of water distribution and filtration, sanitation, health care, and meals provided freely to all who gather, and they develop sharing and trading systems, recreational opportunities, and educational experiences distinct to this creative social world. The Rainbow Family has invented itself as a unique modern culture without formal organization, providing the necessities of life freely to all who attend. 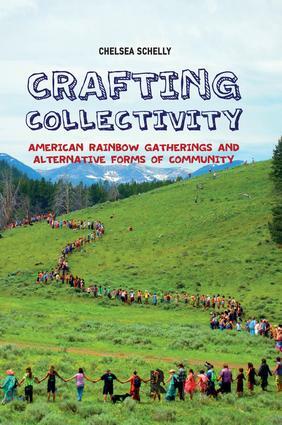 The Annual Gathering of the Rainbow Family has been operating for more than forty years as an experiment in liberty that demonstrates how material organization, participation, and cultural connection can reshape social relationships and transform individual lives. Grounded in sociological theory and research, the book considers what kind of culture the material systems of Babylon reinforce and how society could facilitate the kind of social world and human welfare humans desire." 1. What’s with That Rainbow Fest? Chelsea Schelly is Assistant Professor of Sociology at Michigan Technological University. Her research focuses on how alternative technologies can reshape social organization in ways that benefit communities and the natural environment. She has participated in Rainbow Gatherings since she was 17 years old.